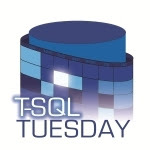 T-SQL Tuesday is an event started by Adam Machanic(@AdamMachanic| Blog) back in 2009. The basic idea one blogger hosts the party and others participate. We announce the topic the first Tuesday of the month, July 2nd 2013 for today, and everyone will post their blogs on the second Tuesday of the month, July 9th 2013 for the actual posts. This month the host is none other than ME! I love T-SQL Tuesday, there is always so much to write about. Our world of technology changes so fast. Each of us has the daily constraints of a life and a job as well. Sometimes it is great to have a topic to write on so you can express your point of view or get the opportunity to dive a little deeper into an area of SQL that may have piqued your interest. Equally as wonderful is reading all the other blogs that people have put together on the subject. Variety is the spice of life, and will we get it in spades. Thanks for keeping me on task Dear Reader! 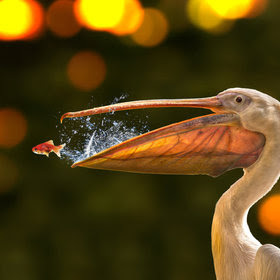 Without further ado the topic of T-SQL Tuesday #44, Second Chances. As a DBA or a Presenter/Speaker we have all had at least one moment we would like back. The demo didn't work, you were green and got asked a question you now know in your sleep. You had a presentation in front of a client, and it all went sideways. Maybe you logged onto the prod server thinking it was dev and dropped something you shouldn't have. These moments serve not just as painful reminders, but also as powerful instruments for learning. Would you like another shot at getting it right? WELL NOW'S YOUR CHANCE! Or I guess actually your…. Second…. Chance. Your missions should you choose to accept it, tell me one of the moments you had, and most importantly what you learned from it! Tweet your blog with the hash tag #tsql2sday & go read someone else’s blog on the subject! Thanks for hosting Bradley. I talk about the time I $%^#ed up badly. Cheers for hosting Bradley, I've finally got one done!!!! Missed it this month but it looks like an interesting group of topics. Maybe I will submit something for TardyThursday, the day we slackers submit TSQL2SDAY posts.